It’s been almost exactly 10 months since IBM formally launched its analytics-infused messaging system called Verse, and while the company’s announcement of “software for a new way to work” initially generated a relatively positive blast of press and analyst coverage, buzz about the cloud-first product has dwindled since. 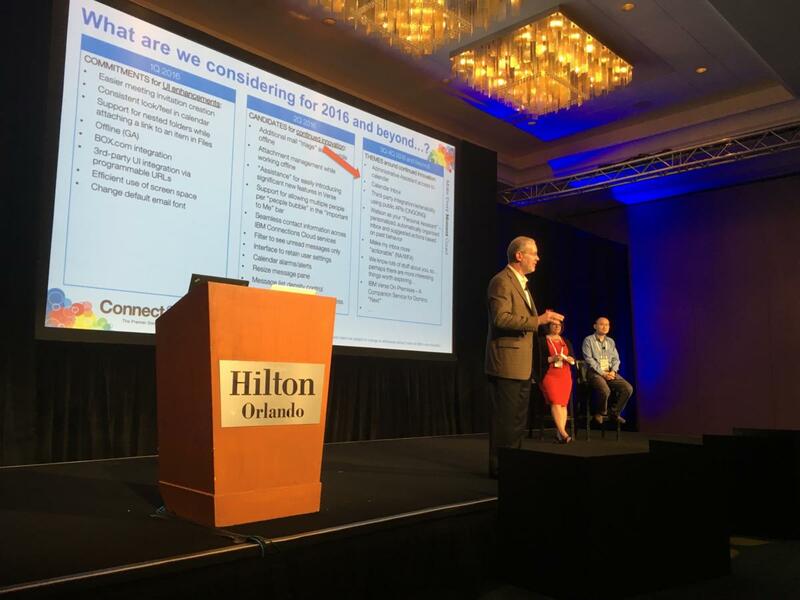 So I went in search of signs of excitement, or even signs of life, for Verse at the IBM Connect conference this week in Orlando. It took a while for IBM to get around to Verse (as in, short for “converse”) on Monday at the show, which kicked off that day with an appearance by charged-up/exhausting NatGeo TV show host Jason Silva and an amusing recycled TED@IBM talk on why computing devices need to have a sense of humor. Indeed, the first significant mention of Verse at the event came during one of those seemingly endless demos starring IBM personnel pretending to be customers. During the showcasing of a homepage that presents a unified view of mail, calendaring, social networks and notifications, IBM customer experience executive Chris Crummey -- styling the rare combination pocket square/iPhone case -- employed Verse to reach out to a colleague and accelerate sharing of content. He also showed how Verse’s calendaring technology can use Watson-powered smarts to advise him about which of several conflicting meetings he should attend (uh, the one with the most people above him in the org chart) and monitor emails for tone. In addition, Crummey demonstrated how a Verse calendar snapshot can be taken so that it can be accessed offline. 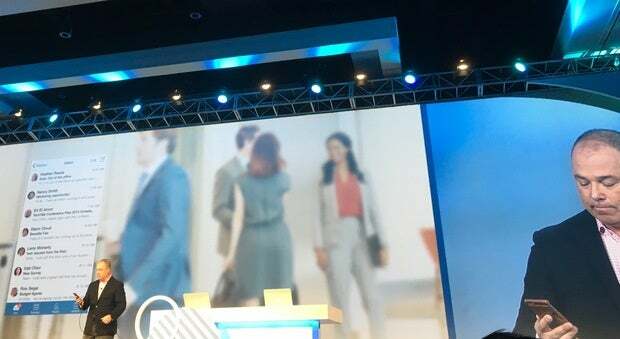 Also during the opening sessions, Enterprise Social Solutions GM Jeff Schick dropped a bombshell -- well, OK, whatever the thing is that’s slightly less than a bombshell –-that IBM would be providing Verse as an on-premises upgrade to its Domino “Next” social business application platform during the second half of 2016. 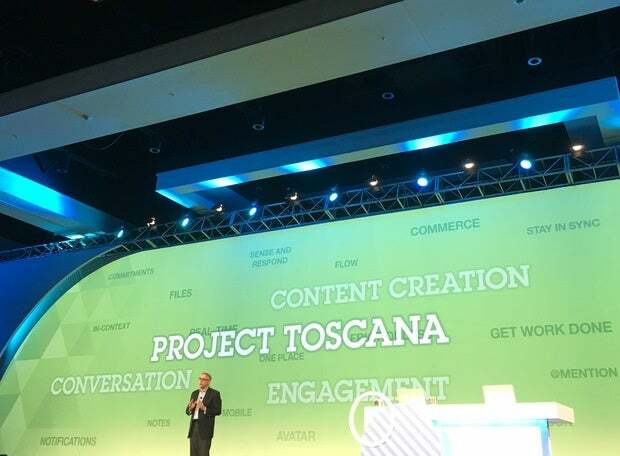 Yes, if you haven't been paying attention, both the Domino server and Notes client -- formerly the stars of IBM Connect predecessor Lotusphere -- do live. The thinking goes that there's still demand for on-premises products by those organizations perhaps still not quite comfortable with putting everyting in the cloud as well as those not allowed to do so because of governance rules. Schick, who has been part of IBM's collaboration business since 2006 and is the Father of IBM Connections social business network platform, expanded on Verse during a follow-up interview. He boasted that it is the first Web-based mail with an encrypted local store for offline use. It is also the first messaging system using true faceted search, based on the Apache Solr engine, that enables advanced sleuthing for information, Schick says. Verse too can help users visualize who all those people are that get cc:ed on messages sent to you. "There are improvements that you can make to mail and calendaring that are just so intuitive," he says. "There's a lot of innovation that can really take place in this space."